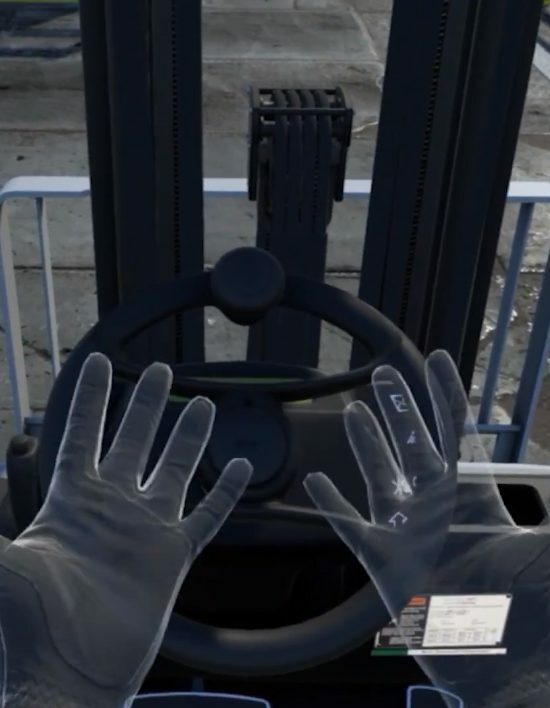 Introducing VR hand tracking for our Forklift-Simulator units. 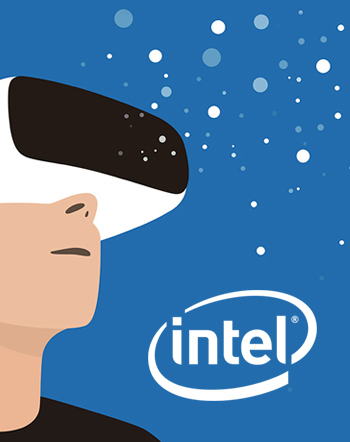 All new units will be equipped with this technology. 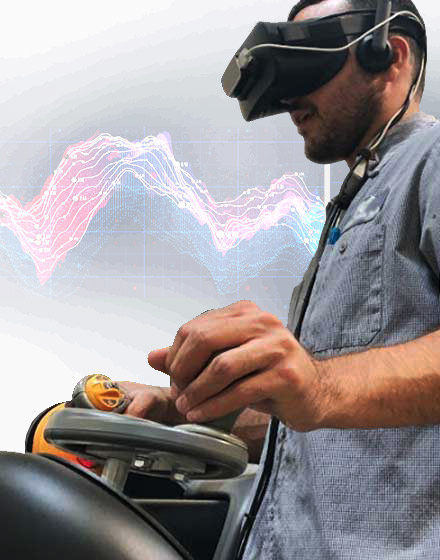 Contact us if you want to retrofit your exiting simulators. 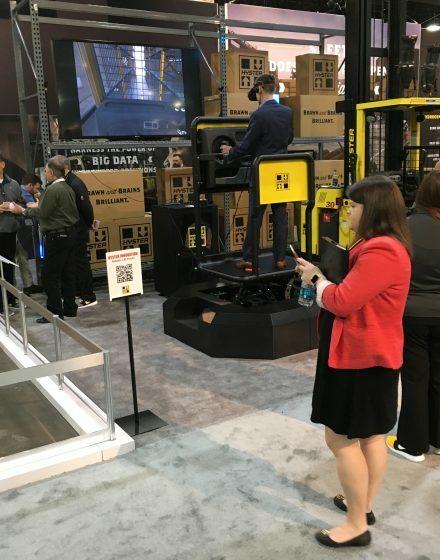 Premiering the Hyster Order Picker on a 6DOF motion platform at the Modex 2018 show in Atlanta. 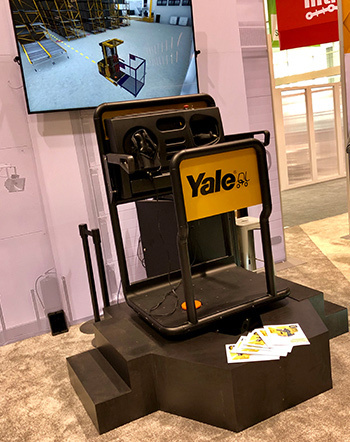 Come visit us at booth C2145 and learn more about our newest innovations. 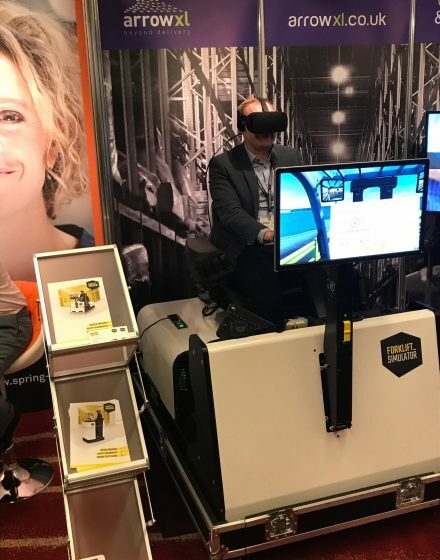 In collaboration with Arrow XL - the leading shared-user 2-man home delivery company in the UK - we attended the 'The Delivery Conference' in London. 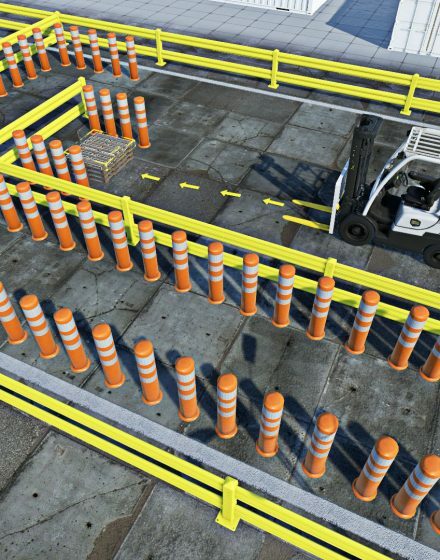 Where we demo'd our CB Forklift-Simulator. 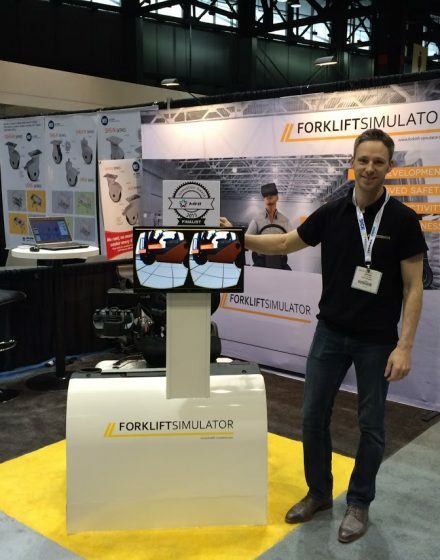 Check out our new video featuring the worlds first Virtual Reality Reach Truck-Simulator! 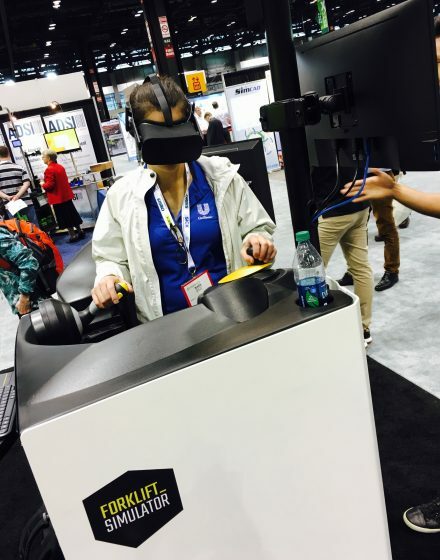 Our newest model - the worlds first VR reach truck simulator - was well received at the ProMAT show in Chicago. Thank you all for visiting our booth, you rock! 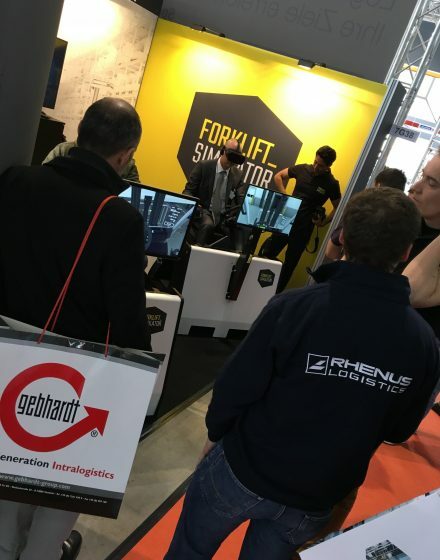 Looking back at a successful week at the LogiMAT show in Stuttgart, Germany. Lot's of interesting and innovative products here. 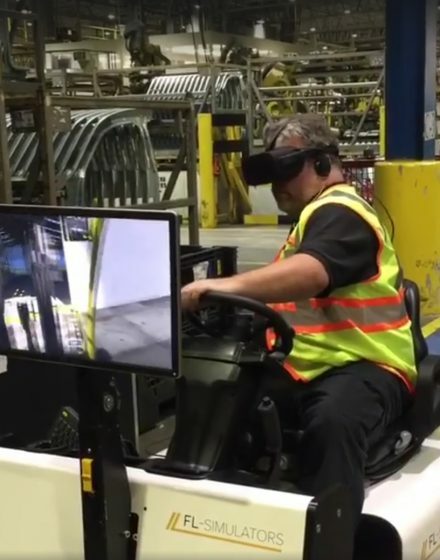 Our Simulators fit right in. 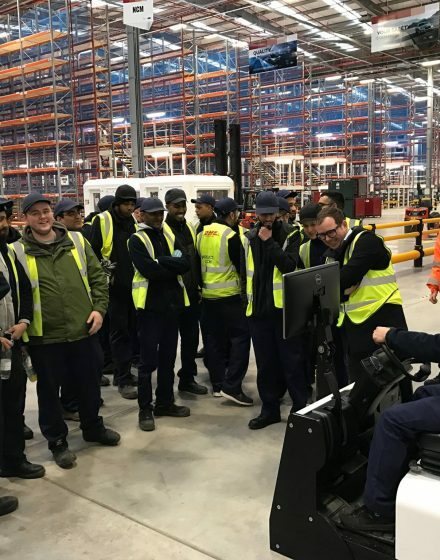 DHL, who takes care of Jaguar and Land Rover's supply chain in the UK, asked us to demo our units to their forklift operators. 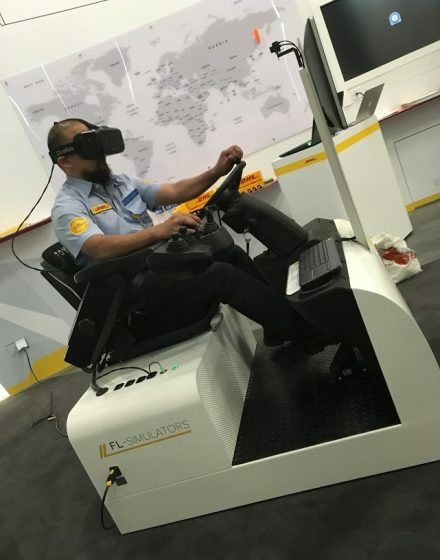 We can honestly say that DHL loves the Forklift-Simulator! 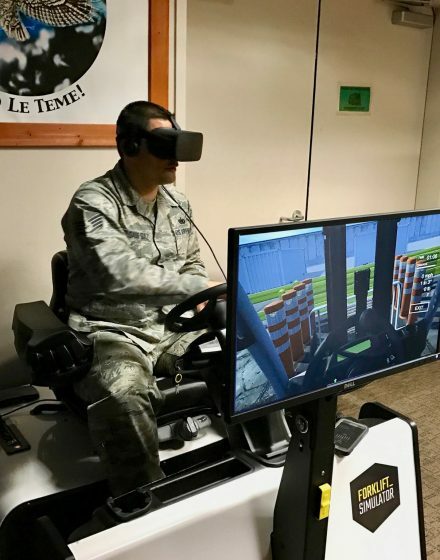 We are very proud to say that the US Air Force is using our Forklift-Simulators to train forklift drivers from all over the world! 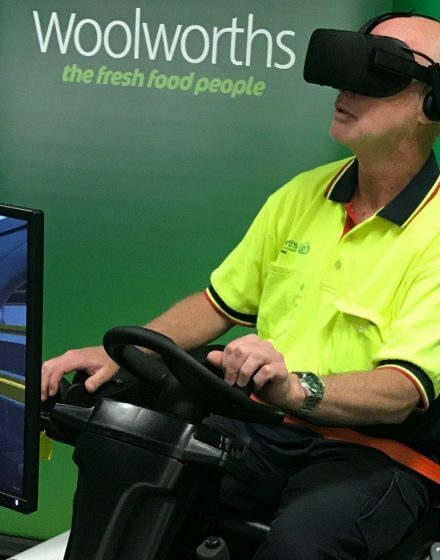 Nestlé Waters asked us to recreate their facility in VR to train their drivers using the double forks attachment. Interesting demo at KamTek's facility in Birmingham, Alabama. 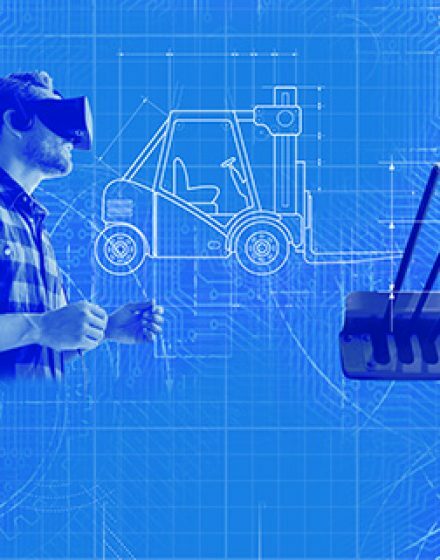 The new software was released featuring a curriculum that includes 10 different levels and 40 exercises based upon the world’s best forklift training practices. 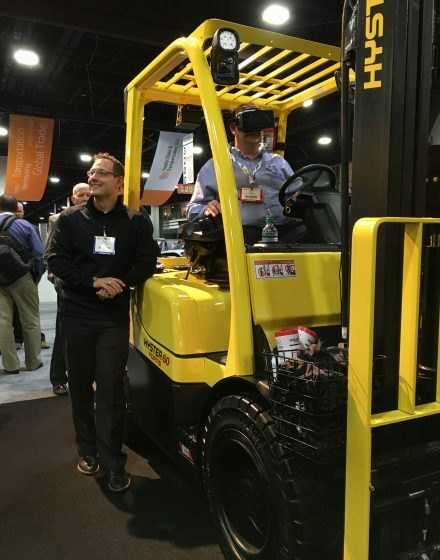 Attending the Modex 2016 show in Atlanta. Our newest model, featuring brand new software, is a huge success! 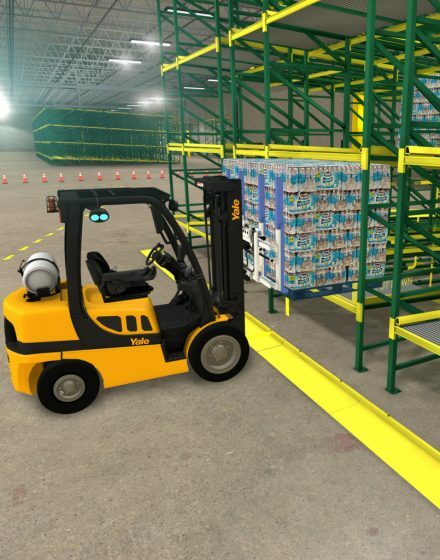 Training DHL's disaster response team on how to operate a forklift in Singapore. 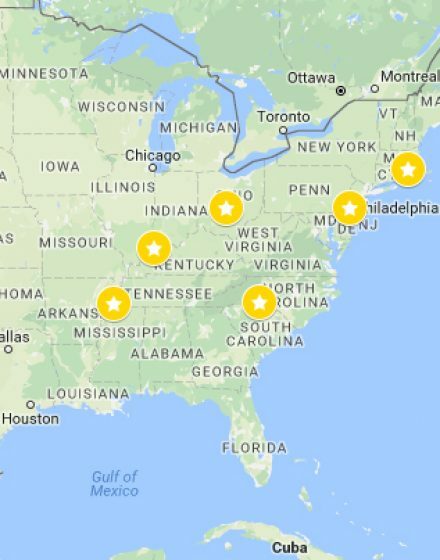 DHL placed units in their Innovation Centers in Germany and Singapore. 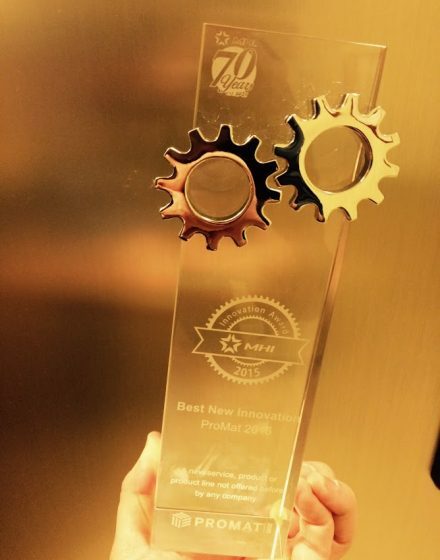 Winning MHI's 'Best New Innovation Award' at ProMAT 2015 in Chicago! 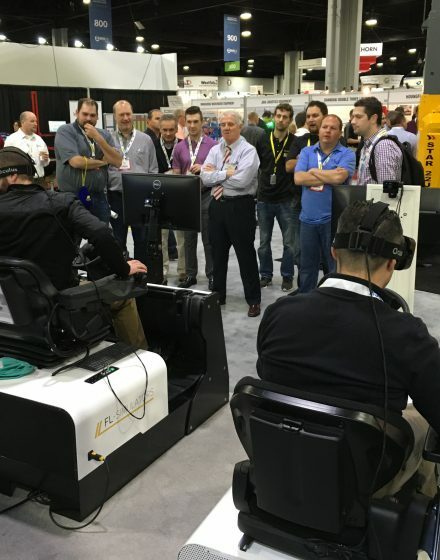 The prototype of the next model is presented at the ProMAT show in Chicago. 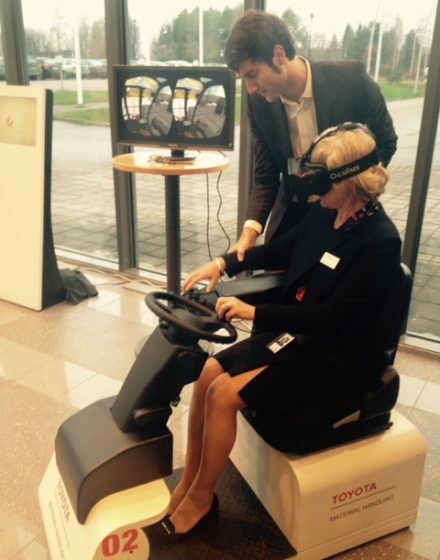 The prototypes are thoroughly tested traveling through Europe from one event to another.